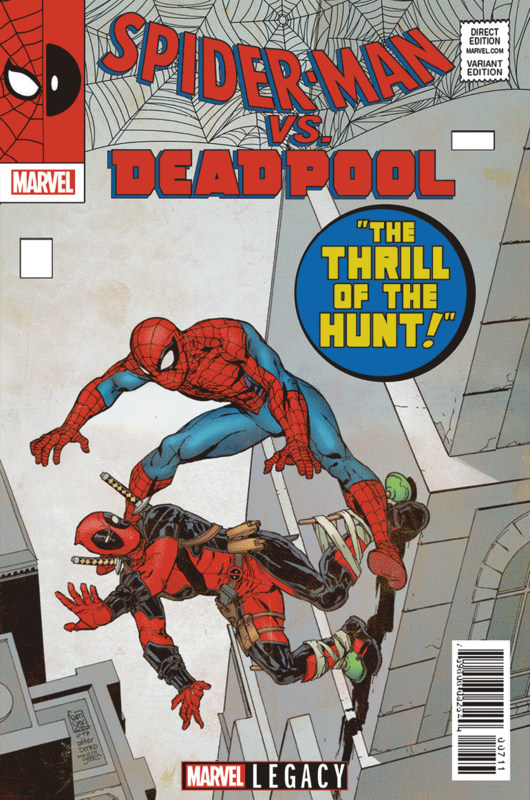 Et comme l’annonce la couverture : Spider-Man Versus Deadpool ! 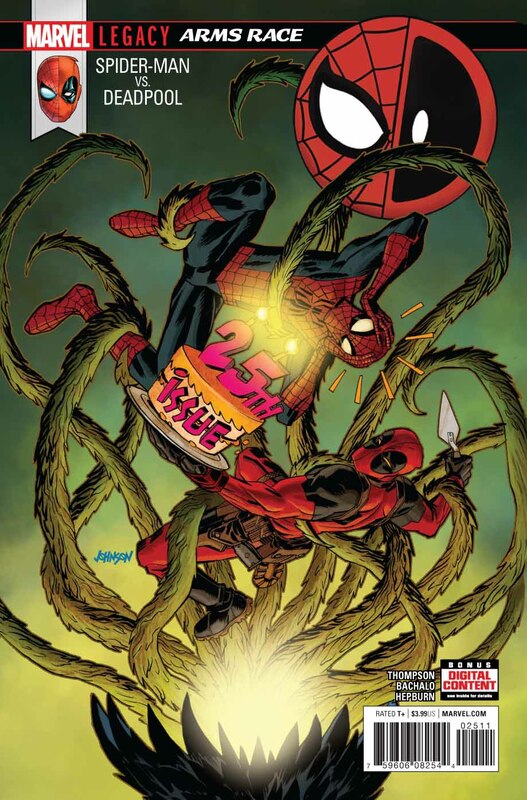 La série Spider-Man / Deadpool débutera l’ère LEGACY avec le #23 et un arc intitulé " Spider-Man vs Deadpool". 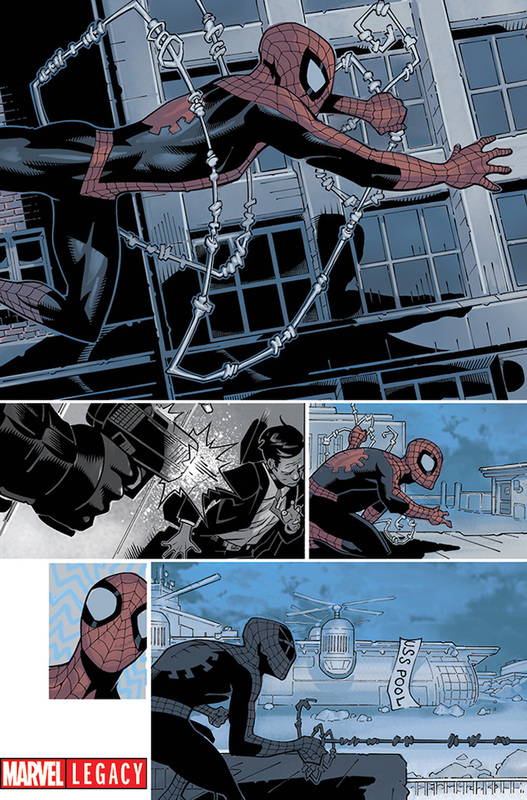 La nouvelle équipe créative de la série Spider-Man/Deadpool a été dévoilée au San Diego Comic Con : Robbie Thompson (Silk, Venom, Spidey…) au scénario et Chris Bachalo (X-Men, Doctor Strange…) aux dessins. ça peut être cool ! 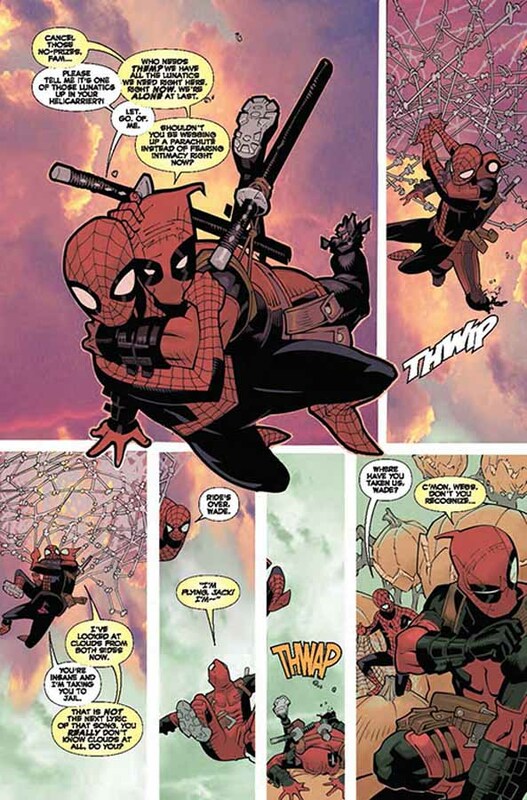 Description: “Spider-Man vs. Deadpool,” part one. 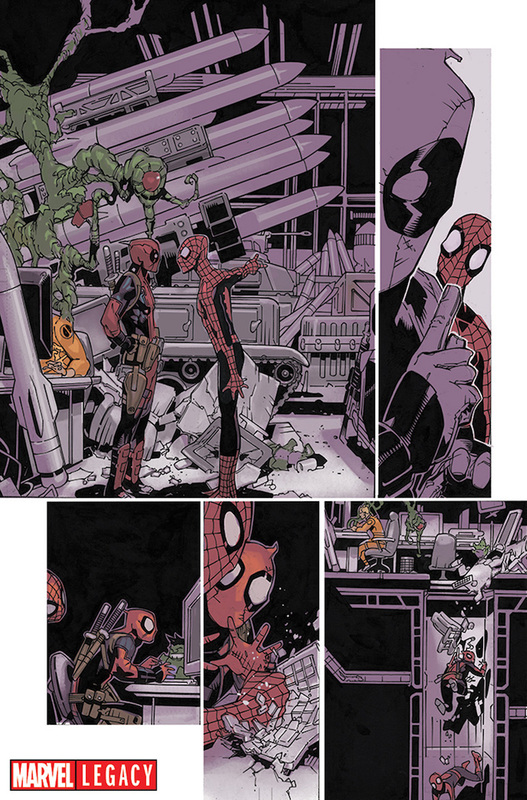 When Spider-Man learns that Deadpool is selling S.H.I.E.L.D. tech on the black market it’s the last straw. Bromance? Over. 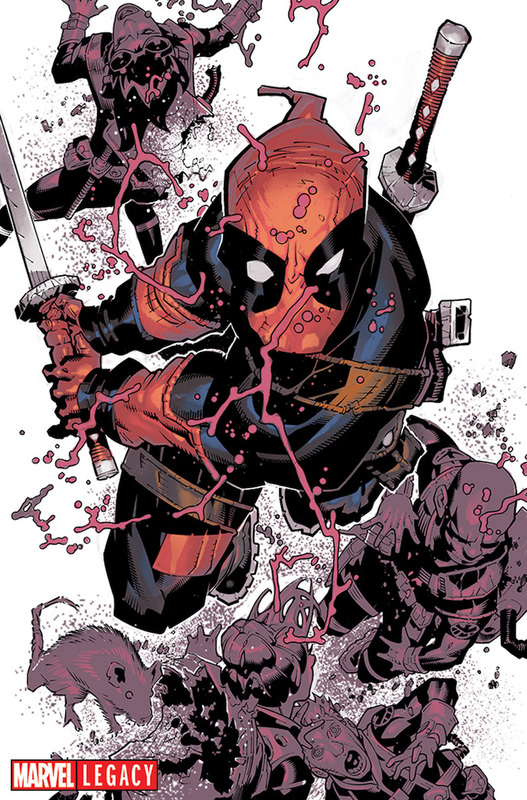 It’s time to hunt Deadpool! 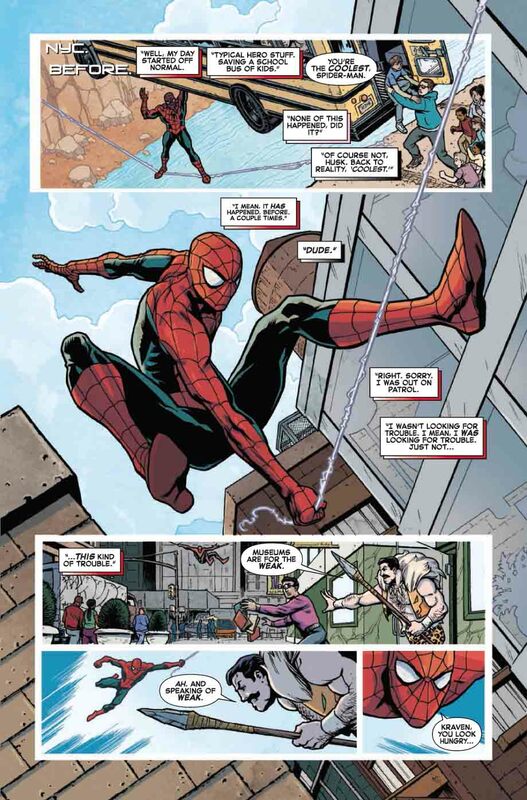 The two biggest characters in comics are facing off and it’s going to take them all over the Marvel Universe, no holds barred. 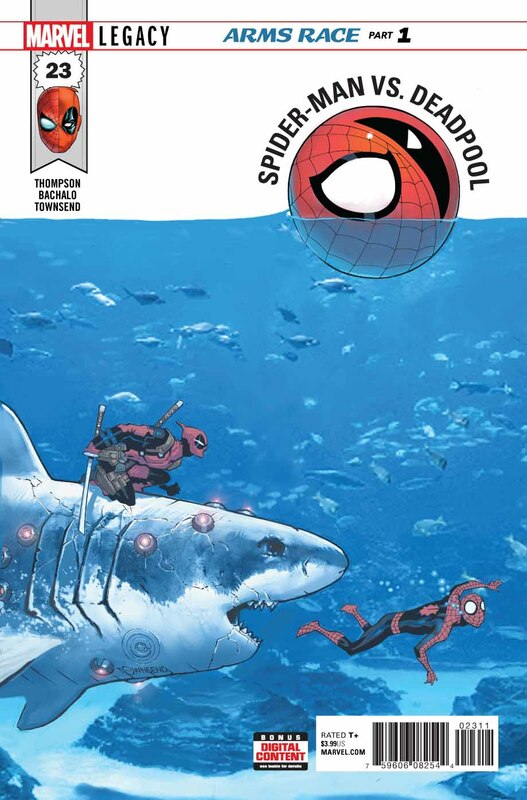 As you can see from this cover, Deadpool’s even willing to use his laser-sharks. 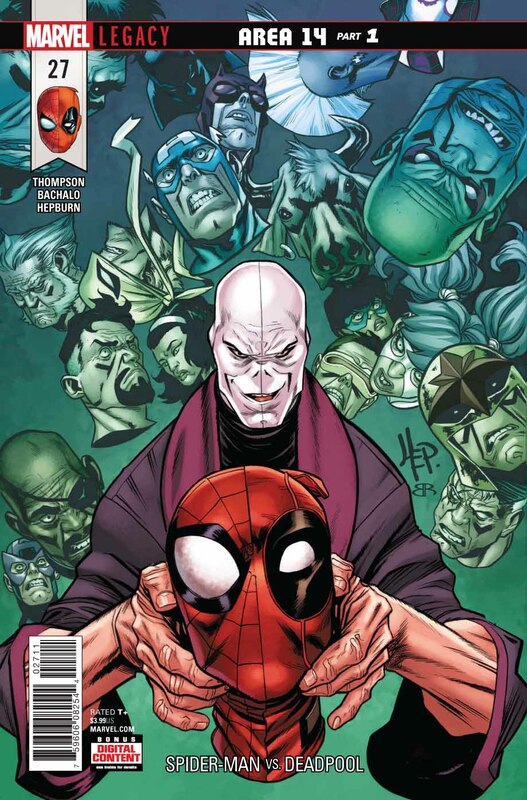 And it will all lead to the biggest Spider-Man/Deadpool story of all time! 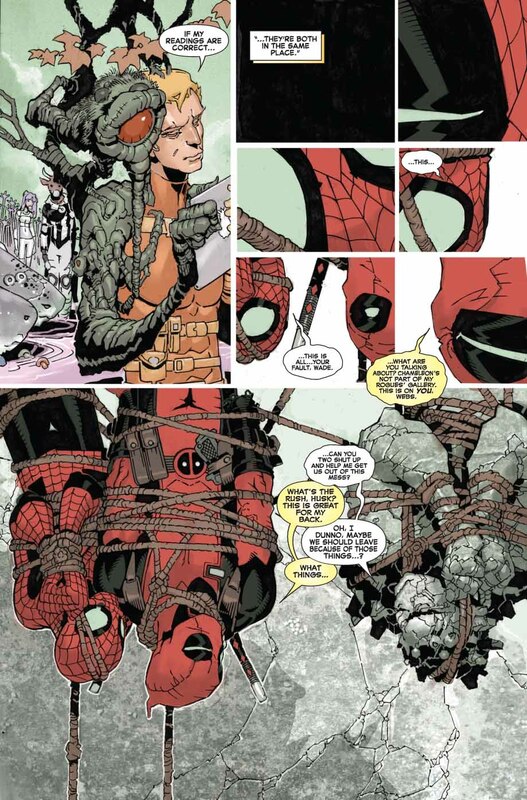 Description: “Spider-Man vs. Deadpool,” part two. 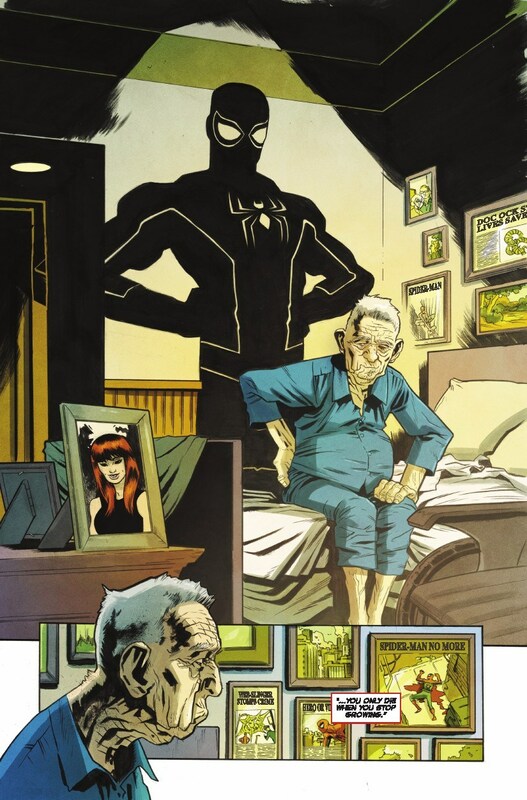 When Spider-Man learns that Deadpool is selling SHIELD tech on the black market it’s the last straw. Bromance? Over. 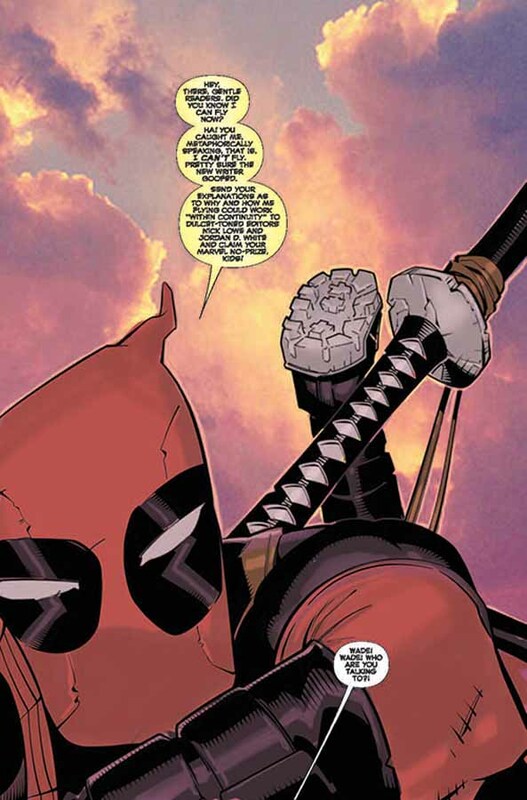 It’s time to hunt Deadpool! 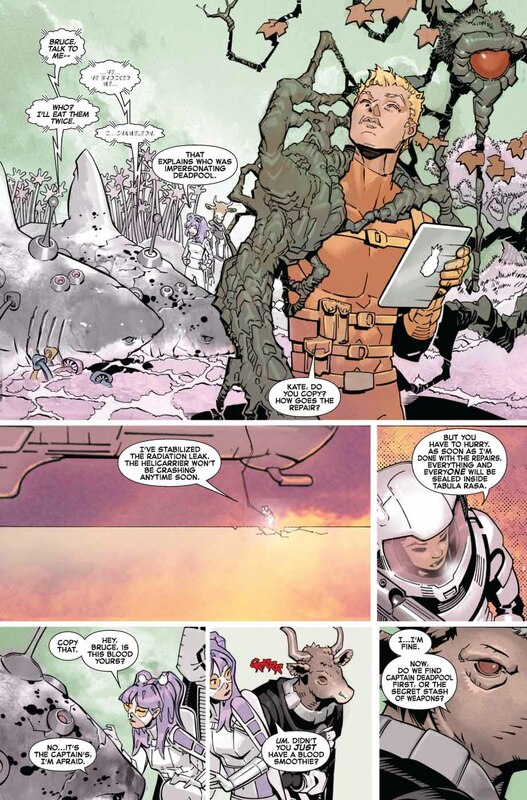 The two biggest characters in comics are facing off and it’s going to take them all over the Marvel Universe, no holds barred. 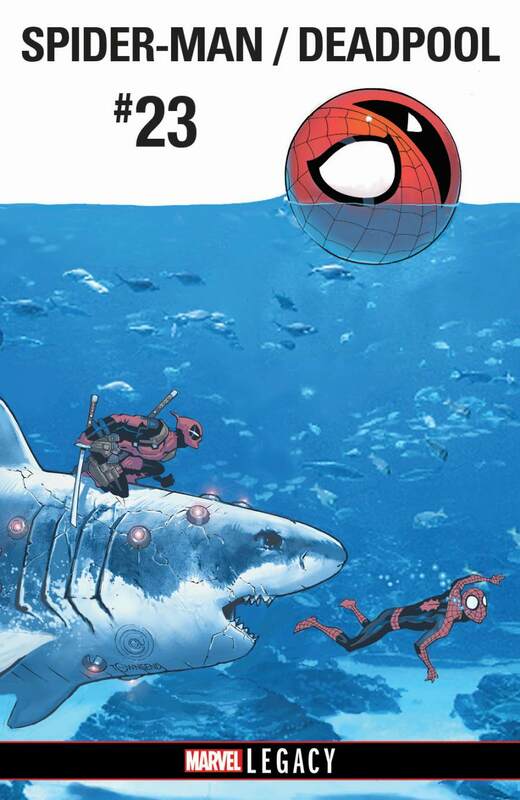 As you can see from this cover, Deadpool’s even willing to use his laser-sharks. 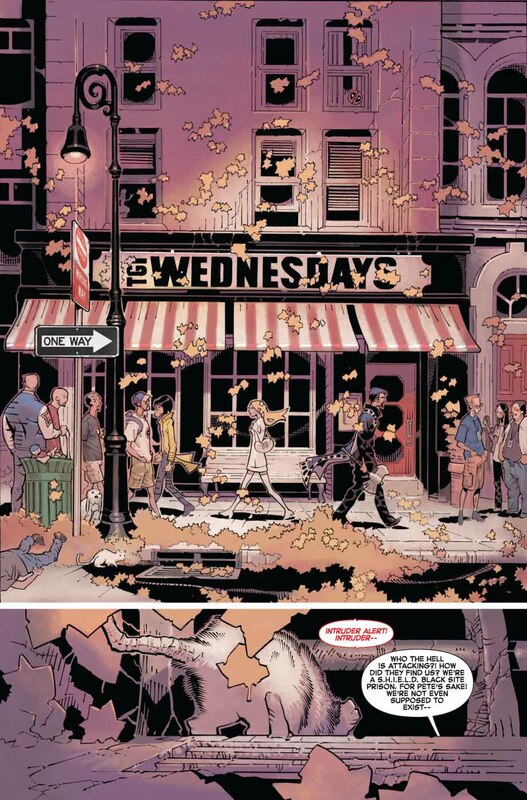 And it will all lead to the biggest Spider-Man/Deadpool story of all time! 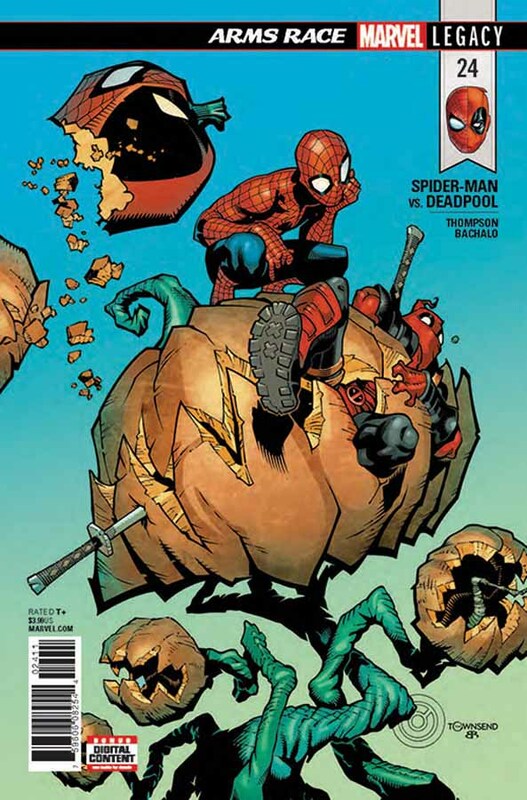 Description: “Spider-Man vs. Deadpool,” part three. 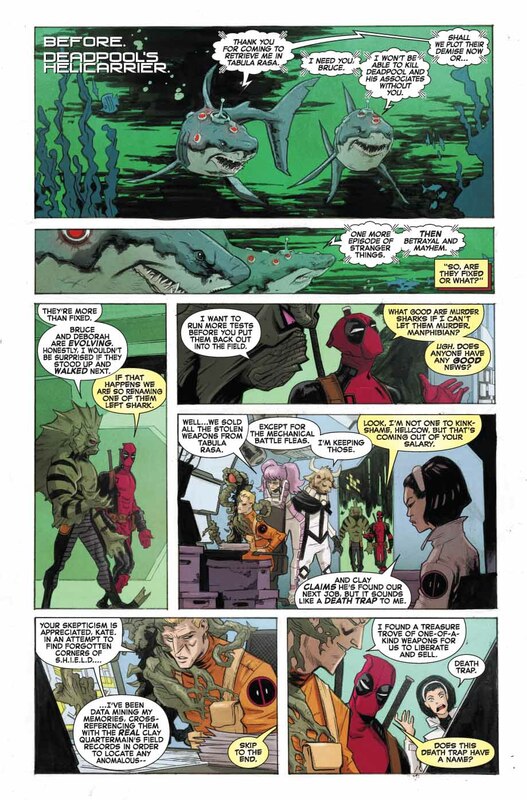 The first arc of the new era of SM/DP climaxes with our heroes facing The Chameleon! 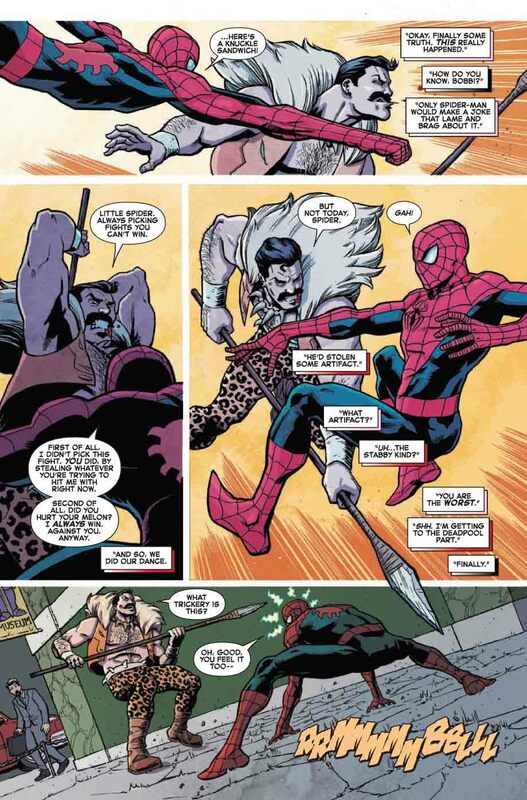 The mimicry villain’s plan is more than just changing HIS appearance. 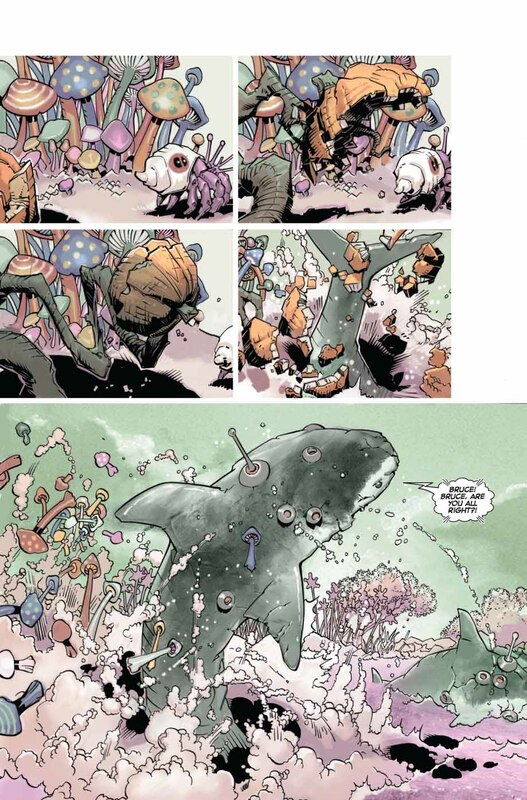 It takes Chameleon from his level of petty crook and puts him shoulder to shoulder with the world’s most terrifying super villains! 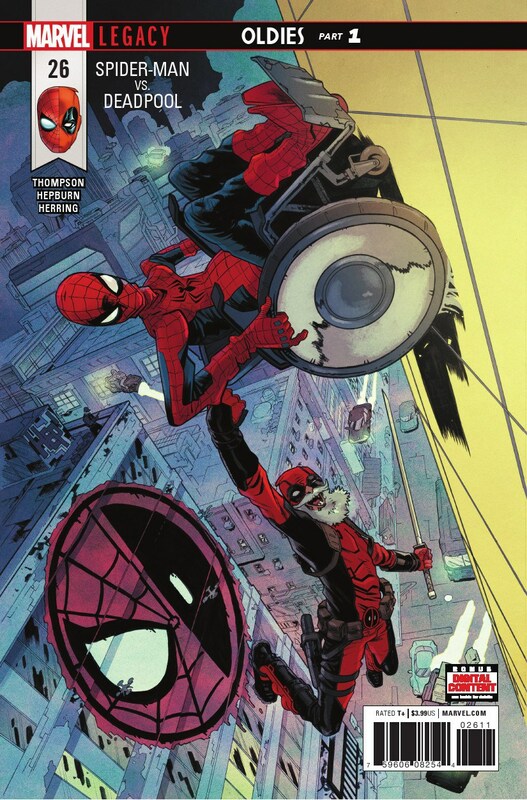 Spider-Man and Deadpool do their darnedest to take down the elusive villain, but it’s hard to punch someone when he could look like anyone! 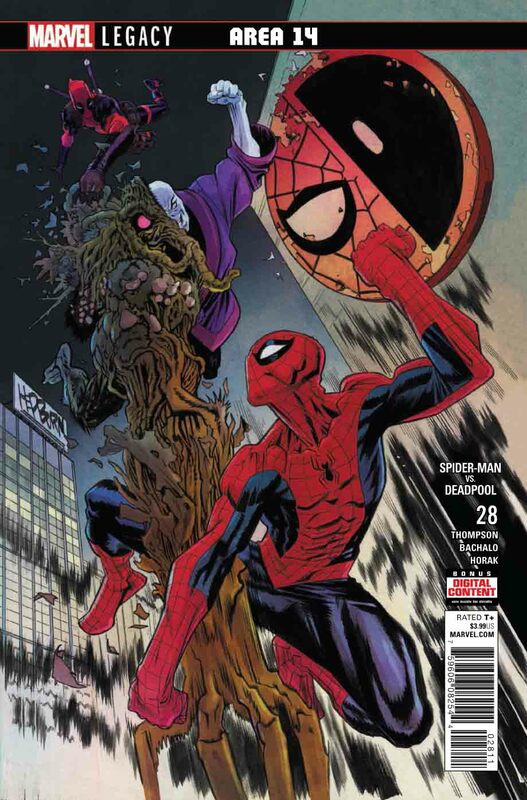 This issue is the first prelude to the biggest Spider-Man and Deadpool story of all time that will come to fruition in JULY OF 2018! Eh eh eh, ça promet ! 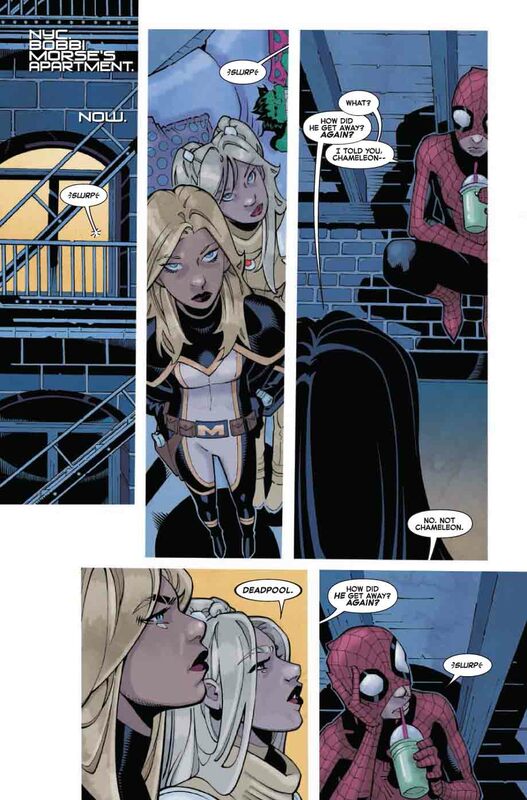 Je trouve que Thompson s’en sort mieux que Kelly sur cette série ! 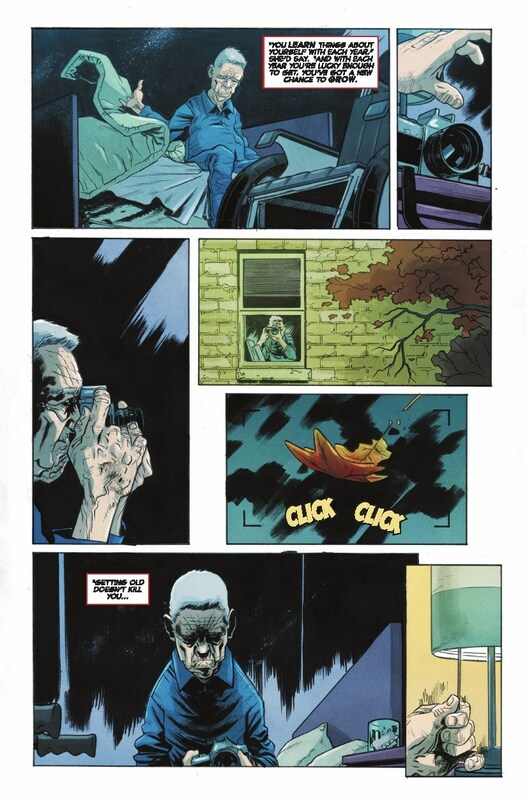 Edit : pinaise, je confonds avec Hastings ! 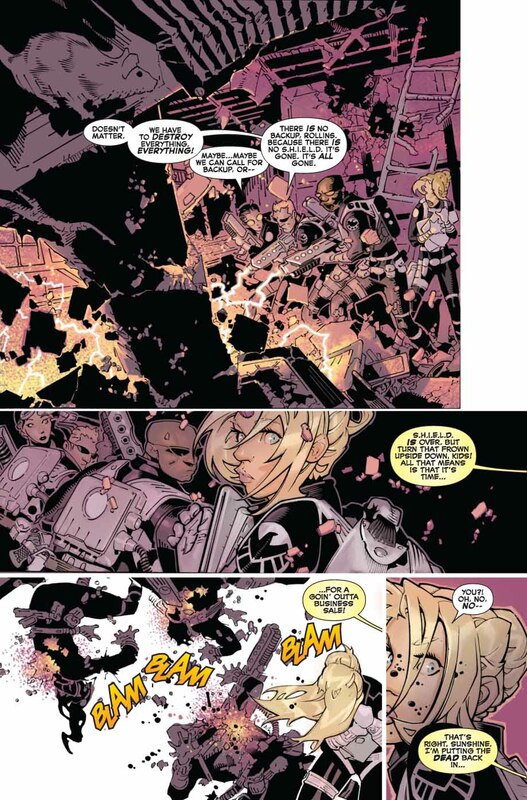 Art by: Chris Bachalo, Scott Hepburn, Marcus To. 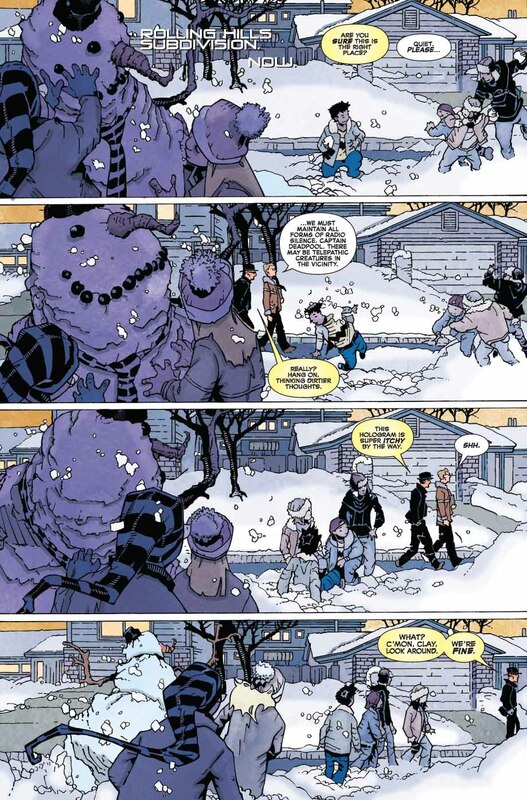 Description: The Chameleon has gained access to a secret ex-S.H.I.E.L.D. 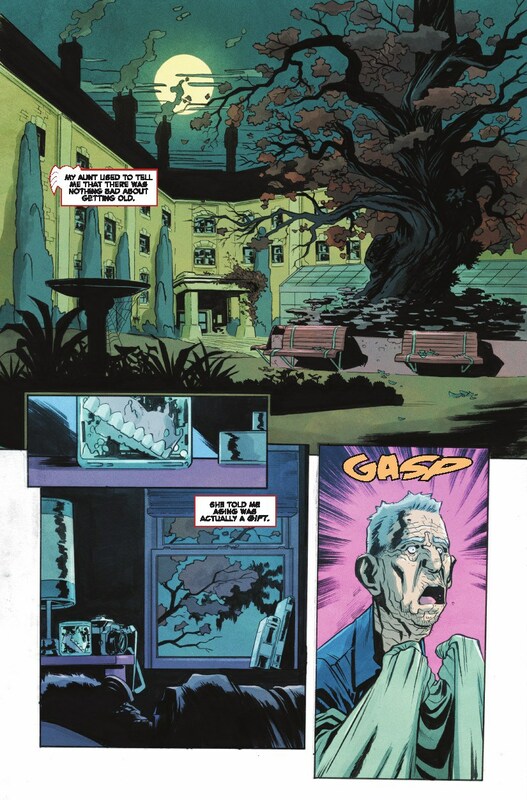 facility, which is a sentence Peter Parker hoped would never be written. 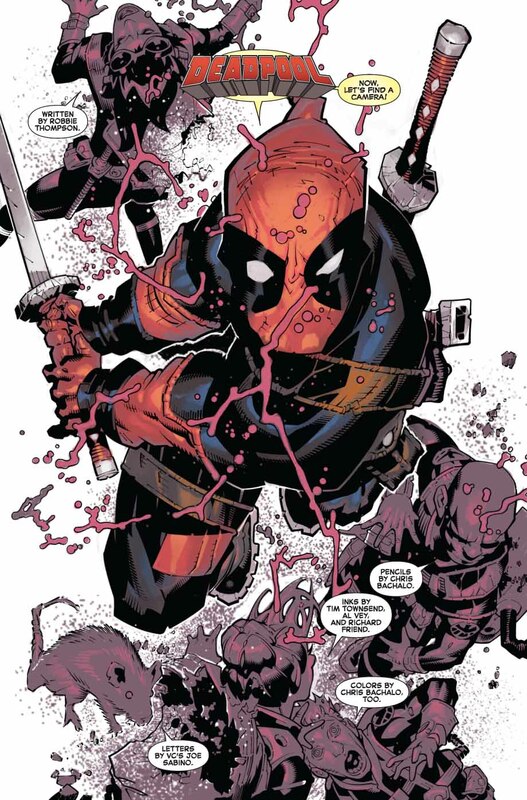 Wade Wilson? Completely ignorant of just how bad the situation is. Horak fait le passé ? Pas là, puisque c’est Hepburn ! Oui tu as raison, je donne ma langue au chat. 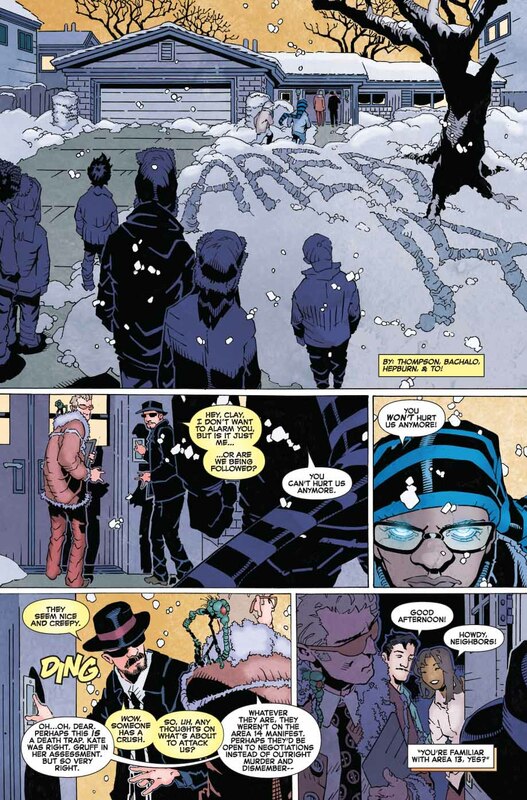 Ah, mais j’étais d’accord avec Artie sur le principe !